S -23° 43' 14" and E 44° 22' 50"
Betioky in Atsimo-Andrefana Region with it's 31,102 inhabitants is located in Madagascar about 389 mi (or 626 km) south-west of Antananarivo, the country's capital. Local time in Betioky is now 02:36 AM (Friday). The local timezone is named Indian / Antananarivo with an UTC offset of 3 hours. We know of 8 airports in the wider vicinity of Betioky. 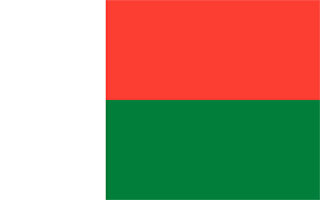 The closest airport in Madagascar is Betioky Airport in a distance of 1 mi (or 2 km), South-East. Besides the airports, there are other travel options available (check left side). Depending on your travel schedule, you might want to pay a visit to some of the following locations: Toliara, Amboasary, Ihosy, Ambovombe and Manja. To further explore this place, just scroll down and browse the available info. Let's start with some photos from the area. Antohabato is a town and commune in southwest Madagascar. It belongs to the district of Betioky Sud, which is a part of Atsimo-Andrefana Region. The population of the commune was estimated to be approximately 7,000 in 2001 commune census. Only primary schooling is available. The majority 80% of the population of the commune are farmers, while an additional 15% receives their livelihood from raising livestock. The most important crop is beans, while other important products are onions and rice. Located at -23.55, 44.45 (Lat. / Lng. ), about 13 miles away. Beantake is a town and commune in southwest Madagascar. It belongs to the district of Betioky Sud, which is a part of Atsimo-Andrefana Region. The population of the commune was estimated to be approximately 18,000 in 2001 commune census. Only primary schooling is available. The majority 60% of the population of the commune are farmers, while an additional 39.5% receives their livelihood from raising livestock. Located at -23.8, 44.3 (Lat. / Lng. ), about 7 miles away. These are some bigger and more relevant cities in the wider vivinity of Betioky.